Whether a dad is single or is part of a family with a mom involved, sleepovers can strike fear into their hearts. It may be as simple as being nervous about his child having a good experience, but it can be more complicated than that. Particularly if dad is single, he may be worried about the other parents’ concerns about having their child in a home with only a father present as the adult. Even in the best of circumstances, dads can feel a little paranoid about hosting a sleepover for his child. Sleepovers are perhaps not as prevalent as they once were given some of the concerns about having children sleep in the home of their friends. Many parents choose not to send their kids for sleepovers or to host them in their homes for a variety of reasons. Some children just don’t do well sleeping away from home. Parents may be comfortable with the parents of some of their kids’ friends, but not others, and so would prefer not to deal with the harder issues of why some and not others for sleepovers. But still others are perfectly willing to have their kids in the homes of friends overnight if they have confidence in the parents. So, if your child wants to have a sleepover, here are a few ideas for making the experience positive and safe for all concerned. While the kids may want to get the whole sleepover experience planned and carried out, the children should not undertake the inviting. Once a child gets your permission, it is your job to have the discussion with the friend’s parents about having the sleepover. Parents are the parties responsible for their children’s safety, so parents need to do the inviting and accepting. Besides just checking scheduling, you need to work through the other parents’ thoughts or concerns. If things get worked out, then the kids can get busy planning. If not, then the parents need to be the “bad guys” and take responsibility for the decision. Whatever is being planned, kids and parents need to be on the same page. If you are leaving the home for the movie or an activity, make sure that the other child’s parents are on board. If you are staying home and they are going to watch a movie or have snacks, verify with the other parent about all of the plans and get their OK. If the kids insist on the doing the planning, let them know that any of the parents can make any changes they want to the plans. Help your child’s guest feel comfortable with the arrangements. Maybe have the guest come by a few days ahead to see where he or she will sleep, how they get to the bathroom, where the phone is so that they can call home if they need to, and how they might interact (or not) with family pets. Go over the basic rules—no going outside without a parent knowing, no leaving the property or going anywhere with anyone, no vandalism or mischief. Sleepovers need to be fun, but they need to be controlled. Kids who are tired and excited often make some pretty bad choices. If the child hosting the sleepover has siblings, it’s important for you to plan some things for them so that they don’t intrude in the sleepover. If the siblings are older, it would be good to have a talk with them. You will want to make sure that they stay out of the room where the sleepover participants are sleeping. 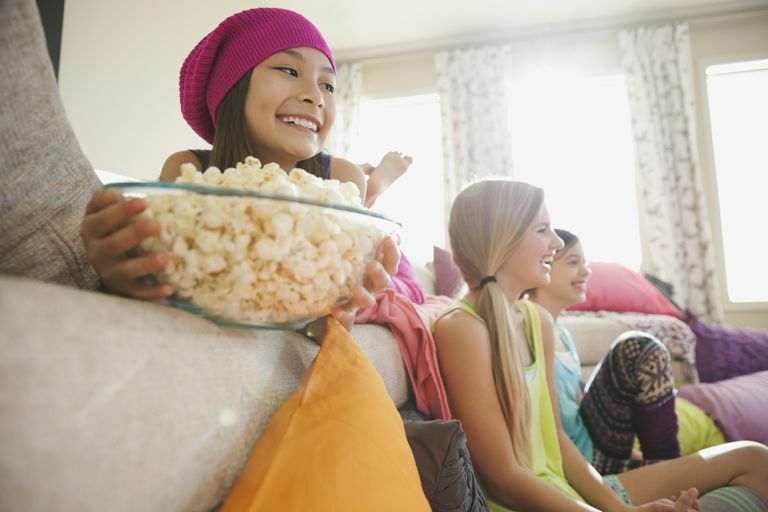 If they are younger, they will want to be involved, so it would be good to plan some alternative activities to keep them busy while the others are having their sleepover. It would be a good idea to have a say in the room where your child and a guest will be sleeping. You want to make sure that there are no intruders (welcome or unwelcome) and that they can sleep securely and safely. You will also want to check in on them from time to time without being too intrusive. Having them know you are watching will help them make better choices.